The Winston Solar Car Team, founded in 1990, is one of the oldest high school solar car programs. The Winston Team has built and raced eight solar cars, participated in three Australian World Solar Car Challenges, and was the first U.S. High School to ever complete this grueling 2000 mile race across the Outback. The team has earned First Place in the Classic Division of the 2002 and 2004 Dell-Winston School Solar Car Challenges, and earned Second Place in the 2008 Solar Challenge Classic Division. In 1993, the Winston Solar Car Team established the Winston Solar Education Program designed to help motivate students in science and engineering. Through this program, more than 1200 schools in twenty countries have launched similar solar programs. The end product of the solar education program is the Challenge, an event that enables students to showcase their vehicles. 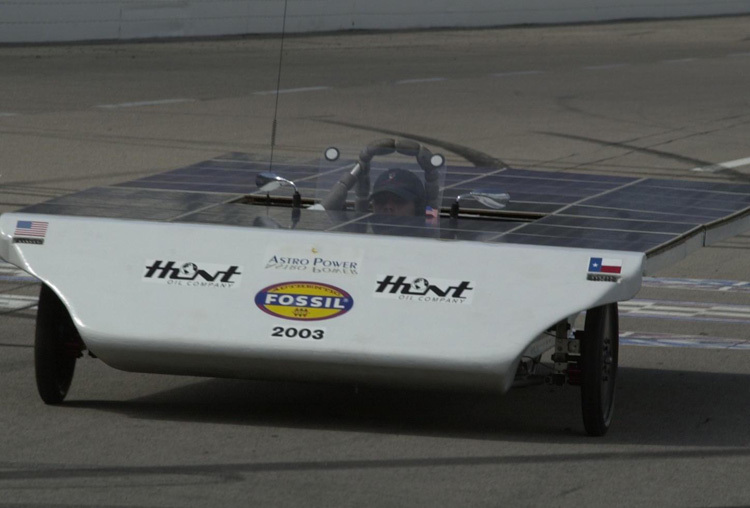 In 2003, the Hunt Oil Company became the primary sponsor of the Winston Solar Car Team. The Winston Solar Car Team received the Third Place Trophy at the 2009 Dell-Winston School Solar Car Challenge. Team members surround their solar car as they faced the grueling 108 degree temperatures at the Texas Motor Speedway.
" We're gonna get there. Let's hope for the best. "